CARLSBAD — The Great American Beer Festival is the Super Bowl for brewers. To be tapped for a medal solidifies a brewer’s creation, while adding prestige to the brew. Winning two medals, meanwhile, puts the beer above many others in the hyper competitive landscape of American brewing. 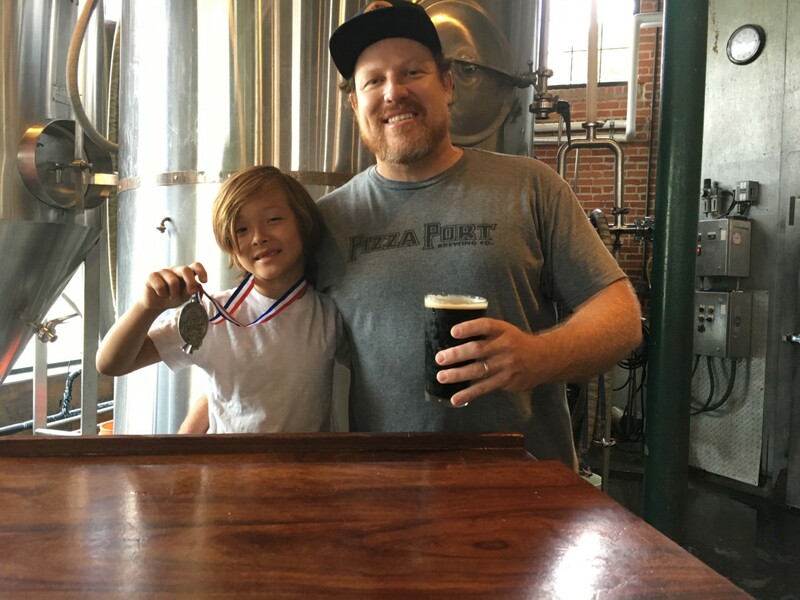 Mike Aubuchon, 39, head brewer at Pizza Port in Carlsbad Village, recently claimed his second medal, a silver, at the festival in Denver earlier this month for his Z-Man Stout in the export stout category. He earned a bronze medal in 2015. Z-Man is a traditional foreign-style stout named after Aubuchon’s son, Zephyr. It’s black in color with a rich, creamy head, coffee and chocolate flavors and a light, burnt grain dry finish with a 7.3 percent alcohol content. Z-Man also won a bronze at the World Beer Cup a few years ago. But for Aubuchon, who has worked at Pizza Port for 10 years, the story of Z-Man began eight years ago just before Zephyr was born. Working as an assistant brewer at the Ocean Beach location, he paired with head brewer Yigh Miyashiro (now at Saint Archer Brewing Company) to create and name Z-Man. It was the elder Aubuchon’s first recipe. Once he moved to the Carlsabad Village location, he tinkered with his creation and has won four medals in the past five years. The three-day festival features 2,217 breweries and 7,923 “competitive” entries from every state in the United States plus Washington, D.C. More than 60,000 people attended the event. Aubuchon said his category featured 48 submissions for the blind taste test. He submitted three other brews, but only Z-Man medaled. Still, he was thrilled with the outcome and the hard work put in to creating a quality libation. The work, and especially the freedom of being a craft brewer, he said, allows brewers to push the boundaries instead of becoming traditional production brewers. The fight still rages on regarding the McClellan-Palomar Airport Master Plan.